This is where you will find facials steamers, bath bombs, shampoo bars and therapeutic soaps made with herb-infused oils and distilled water. Cold-process soaps need six weeks to cure, so, if the soap you need isn’t available when you visit, send me a note and I’ll let you know when it will be ready to ship. If you haven’t tried a facial steamer yet, you owe it to yourself to give it a try. Steaming your face is a simple, effective way to cleanse and minimize facial pores, gently exfoliate dead skin cells (which reduces wrinkles), remove embedded make-up, pesky bacteria and environmental toxins. Guess what! 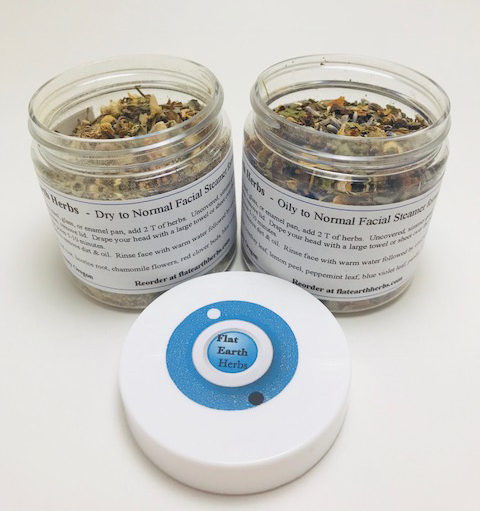 While you have your pores open and cleansed, you can medicate them, too! 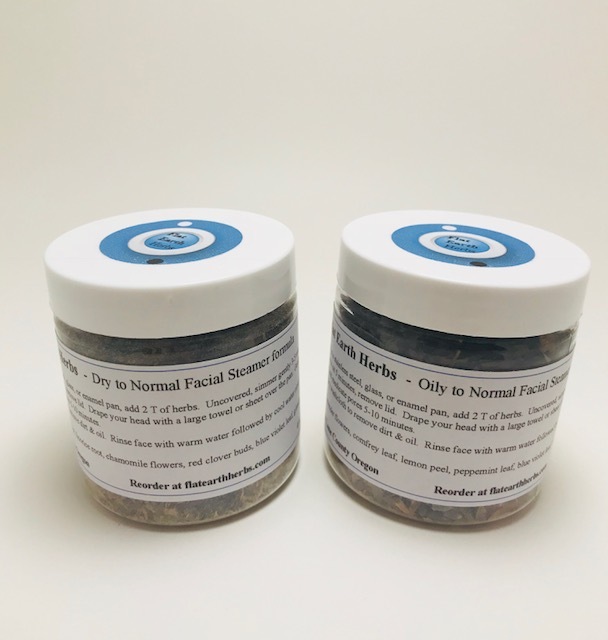 The herbs used in the Dry formula stimulate the sebaceous glands so they will produce the sebum secretions necessary to keep your face moisturized. The herbs in the Oily to Normal formula contains calm the sebaceous glands, normalizing sebum secretions. Steamers come in a 2 oz cello bag. Once a week, add 2 tablespoons of the herbs in a stainless steel, glass, or enamel pan of 2 cups of boiling water. Simmer gently for 3-5 minutes. Remove pan from heat and cover with a lid. Allow herbs to brew for a few more minutes, then remove the lid. Place your face over the pot, tent the pan and your head with a large towel or sheet. Blow into the water, creating steam, as needed. Allow the steam to relax, cleanse and medicate your pores. Steam as long as you want, but 5-10 minutes is sufficient to open the pores. After steaming, wipe away the dirt and oil from the the surface of your skin with a clean dry washcloth, then splash warm water on your face and rinse with cool mineral water to close the pores. Pat dry. Steaming with a friend is always more fun. Effervescing bath bombs are a perfect gift for yourself or a good friend. While you soak in a relaxing, warm tub of water, these bath bombs effervesce, softening the water and your skin (supporting overall exfoliation) as they release the aromatherapy formula. Foot and shower bombs are being released in March. Great for an aromatherapy foot soak or to add aromatherapy to your shower experience. This is where you’ll find a truly great Shampoo bar, herb-infused therapeutic and aromatherapy blend soaps. Cold process soaps take about six weeks to cure in order to reach a safe pH level for use on your skin. I will upload soaps when they are ready to sell.